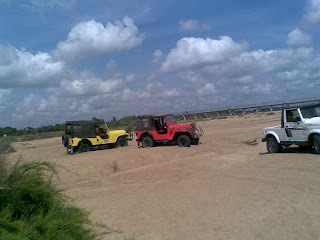 The whole weekend was Jeepers weekend for Indians as the Jeep Thrills (a Premier Indian Jeeper's Club) celebrates its 4th anniversary. 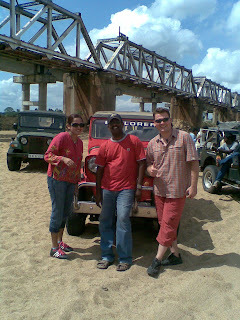 Same is the reason for me to be part of the Jeeping activity last weekend. 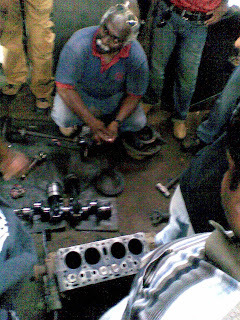 It was started with workshop on Jeep assembling and parts, Patrick was demonstrating the internals of Jeep to the members of our club and lunch on Saturday, myself and my two pals geared up in my Explorer towards the get together organized in the evening for the Jeepers. 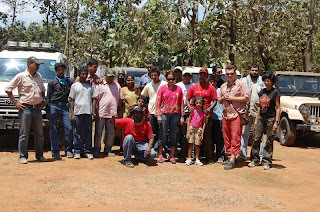 We all traveled around 90kms to reach a rustic village, where the whole team planned to stay over night. 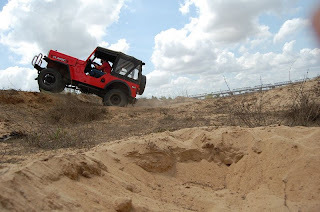 For me the first attraction was offroading with Anjan the founder of Jeep Thrills, we have been known to each other for a quite a long time but never did offroading together. 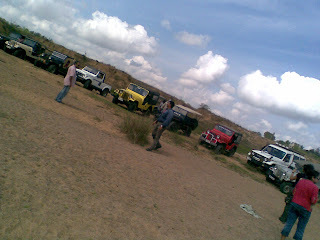 I think this is one of the first Jeep Thrills events where a foreigner participated. I hope he enjoyed the offroad event today as he also floated on the Palar river bed with my Explorer. 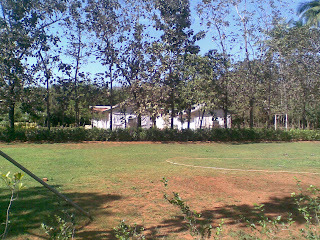 The City I stay in India is called Chennai and it has three climates: 1. Hot, 2. Hotter and 3. Hottest. 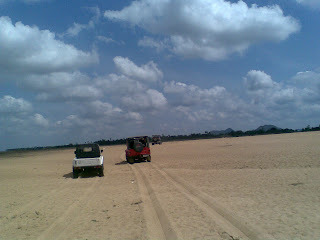 This is the hottest season for Chennai, We really had toughest sand terrain as the river bed was dry, I guess sand offroading suppose to be the most stressful offroad terrain for the vehicle as the engine needs to be keep on pulling the vehicles. I brought my tyre pressure to 20psi to float on the sand, this was suggested by Patrick. 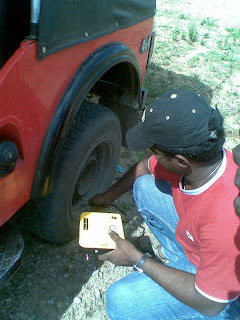 Those who have already familiar with this terrain didn’t wait for reducing their tyre pressure; almost all vehicles reduced the tyre pressue. Hot + tough with no air-conditioned drive made most of our bodied to get dehydrated. The event organizers did plan it well, we had good amount of water and butter milk on the jeeps so we were not down with dehydration issue. 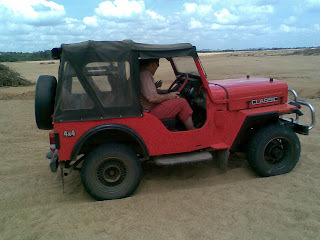 We had powder like sand every where in the river bed which totally took our vehicle engines for a task. 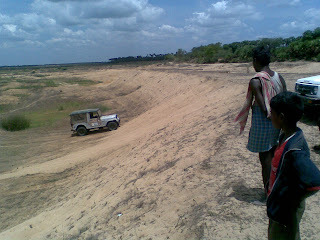 The most difficult part was that we need to climb around 60 degree sand incline. I couldn’t cross this incline with my jeep I given up as my 4 attempts were failed already. Here the challenges were: 1. 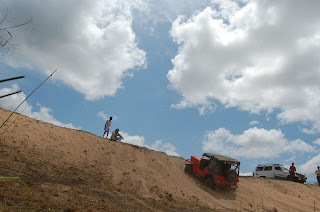 Too steep, 2. this is sand incline, 3. the run on space for the jeeps to pickup the momentum is too less. Except the Gypsy, Land Cruiser and MM550 none of us could do it. The reason being the run on distance for Diesel engines was high but we had really little space on the bottom to pickup, but Gypsy being petrol vehicle it picked up really fast. The anniversary program was turned out good as I also met good number of jeepers and the veteran like Jeeper Patrick. All the participants (like a family) posed for a photo shot and ended the event with smile. Appreciated. 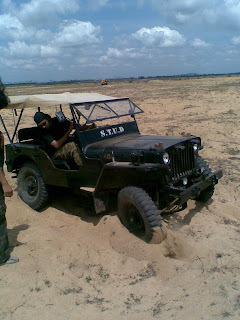 Feel free to use the pictures from my blog if you think there is a need for Indian Offroad secnario articles in your site/publishing materials. Otherwise write to me I can help sending you higher pixel pictures.